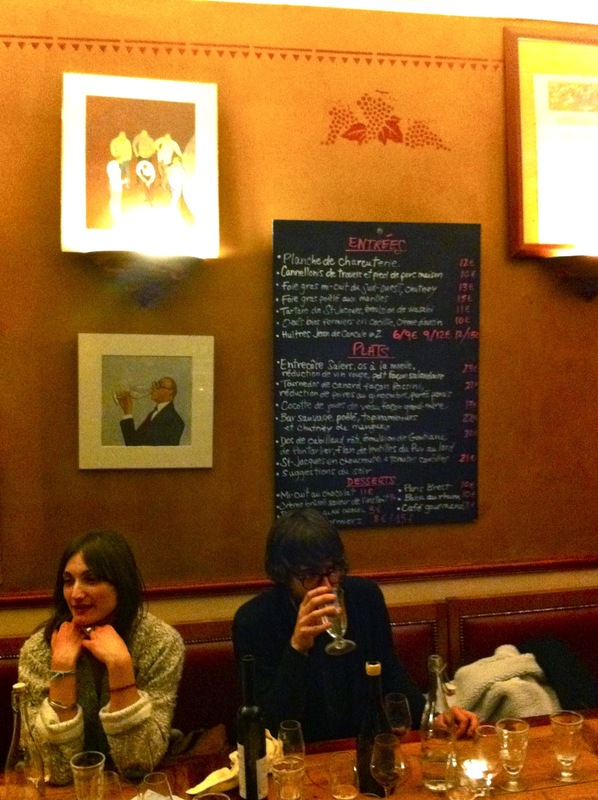 It doesn't seem at all fair that a few short blocks of the 1èr arrondissement are home to so many great wine destinations. Just a stones' throw from the excellent cave-à-manger La Robe et le Palais, where I had a joyous no-occasion celebration with some friends the other night, you have Spring, Spring Buvette, Spring Boutique, and Le Garde Robe, which latter wine bar was founded by the Robe et Palais folks. I can't decide whether it strikes me as shrewd or confusing that the name of their newer place is so similar to that of the old place. Name aside, the differences are unmistakable. 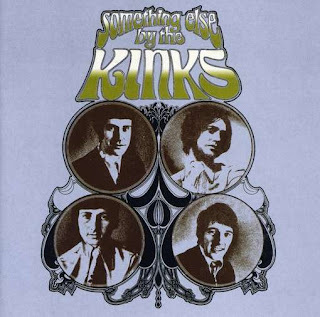 La Robe et le Palais is like the Something Else By The Kinks to Le Garde Robe's Face to Face: a significantly more mature, ambitious work, even if the albums share similar production values and general subject matter. The Native Companion and I had inadvertently organized a Nightmare Table that evening - a loose posse of enthusiastic but unpunctual friends who filter in one by one over the course of an hour, totally uncountable, taking up more tables than might in the end prove necessary on a valuable Friday night and seemingly never getting around to ordering apps. The staff at La Robe et le Palais deserve major credit for not once displaying even a hint of irritation, especially the excellent Quebecois sommelier, a friend of the NC's called Marie F, who on the contrary made us feel very welcome with some glasses of stunning sparkling Aligoté upon arrival. For the record, that is actually a sure route straight to my heart: when a somm, as an opening salvo, busts out something super obscure that nevertheless suits the moment perfectly. 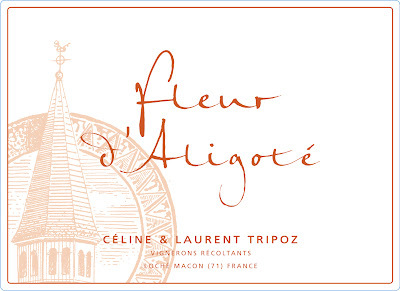 In this case it was a sparkling Vin de Table called "Fleur d'Aligoté," by Céline et Laurent Tripoz, biodynamic Mâconnais vignerons based in the village of Loché. Not only was it the first time I'd ever tasted a sparkling Aligoté - I finished the glass vaguely convinced that ALL Aligoté should be vinified sparkling,* if it means the results will be even half as fine as Tripoz' new creation (the wine débuted in 2010, from what I understand). The nose was snow-white fresh butter, complicated by a delicate lily / ham note, and the palate, from the polished acid to the lemon-curd flavors to the superb bubble structure, was note-perfect. It was like someone had taken the whanging, rangey Neil-Young-beauty of a good Aligoté and shipped it off to a balcony in Ibiza. The only problem with debuting with a wine like that is the next few wines are more likely to pale in comparison. Inspired by the quality of the "Fleur d'Aligoté," we ordered a bottle of the Tripoz Cremant de Bourgogne for the table, only to find that it was just a pleasant adequate Cremant de Bourgogne with no mana raining from heaven around it. Oh well. And like all the cuisine save my sad duck, the wines were excellent, but I will decline to discuss more of them at any length, either because I already have - Adrien Berlioz's awesome Mondeuse, for instance** - or simply because life is too short. * I'm being slightly facetious. But the wine was indeed that impactful. ** Which latter isn't even really a bar, I just seem to drink there a lot. 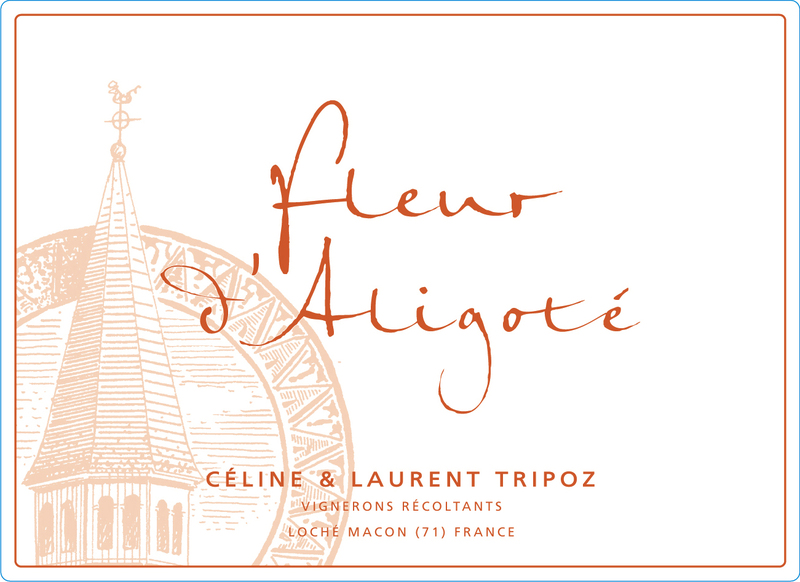 Neil Young & Aligoté #1: Derain's "Allez Goutons"
A review of a different Tripoz wine @ Vinofreakism, of interest chiefly because the blogger seems to be kind of biting my style. Am I flattering myself or is he kind of biting my style? Biters. I used to live 50 meters away and really liked La robe et le palais, despite the quite expensive price. I apreciated the cooking : often biodynamic restaurant only focus on wines when we would aslo be pleased by a good cooking. I retturned there last week, two years later. The menu is way simpler and a lot less expansive. But we were dispointed to find a brasserie menu more than a restaurant's. About the wine, the waiter did not seem to know a lot about biodynamic wine and anyway, he always was in a rush. As it has always been, the service was really long and unfortunately, nobody took the time to tell us about the wine chosen. hi onde ! i have to agree. things have really fallen off at this place. lame menu and rushed, inattentive service. probably warrants an update on the original post, which i'll get to sooner or later.